Happy New Year! School year, that is. Are you excited? Maybe you’re a bit sad to see Summer wave, “So long.” I am . But here in Texas, we’re pretty ready to boot summer out by the end of August. At least, we want to show the heat out and show the Autumn cool in. If you teach in the classroom, at home, or both (That’s me!) it’s time. We teachers lead the way. We have to come in with a positive attitude. And we owe it to our students to be prepared. One of my favorite books on getting the school year off to a bright start is: The First Days of School (How to be an Effective Teacher) by Harry K. and Rosemary T. Wong. This book shows teachers how to bring their best professional educator selves to the classroom. You will find a treasury of tips on running a successful classroom. These tips include: preparing yourself and your environment, lesson planning, and teaching procedures. If you are clear in explaining exactly what you want the children to do, and you are consistent, you will be your most effective self in the classroom. Happy Teaching, where ever that may be for you! Have you filled any plastic eggs lately? Egg hunting season is in full swing. Enjoy! You can use the eggs for more than the “Big Day” egg hunts. Here are a few ideas for you. I am sure you will think of more. 1. If you’re a mom or teacher of young children, give your kids some eggs and containers to take turns having their own egg hunts for each other. Supply them with containers to put the eggs in. This can be done inside or outside. fill, empty, hide and find the eggs in the tub. 4. Set up an egg number-object matching center. Put numbers 1-12 on a dozen eggs. Get something small, like uncooked beans. Have your child fill each egg with the number of beans on the outside of the egg. For an edible version of this idea, use a small cereal pieces, such as Cheerios. 5. Have your child work on his/her color skills. Use pom poms. Your child can match the pom pom to the color of the egg. Have your child put the matching color of pom pom inside each egg. Then put unmatched colors of pom poms and introduce the word “mismatched”. 6. Make an edible version of the above activity.Use a small colored cereal, like Froot Loops. 7. After you do the Froot Loop activity with counting, involve the sense of smell. Have your chlid close her eyes or put on a blindfold. Can she identify the color of the egg by the matching Froot Loops’ smell? Open the eggs one at a time and “see” how it goes. 9. Simple addition: After you do the number matching activities, try this simple addition activity: Choose 2 eggs with numbers on them and the corresponding number of small objects inside. If you add those two numbers of objects, how many will you have? Empty the contents of the eggs and check your answer. 10. For older children: Work on math facts with plastic eggs. Using masking tape, write a simple math fact on the outside of the egg. Write the answer on a small piece of paper and insert into the egg. Do this with as many math facts as you would like to work on for the day. (Example: all the addition 3s facts) Have your child say the math fact, then the answer. Have him open the egg to check if he said the correct answer. 11. To extend the above activity: Place all the answers to a set of math facts in a pile on the table. 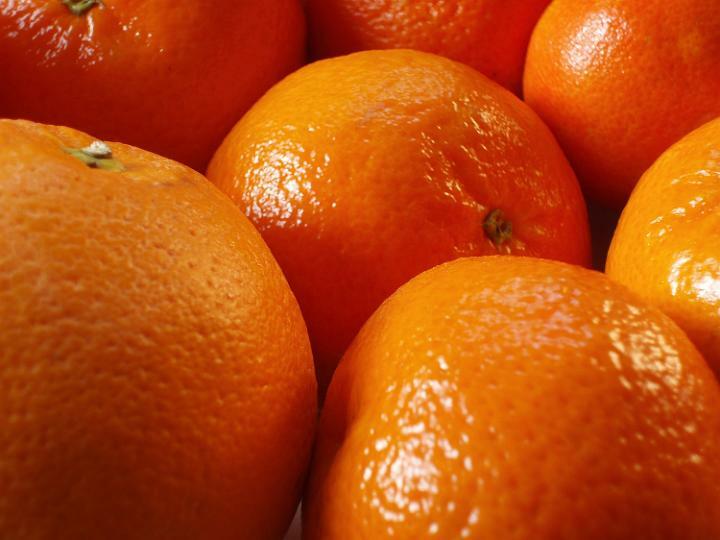 Give your child the eggs with the math facts that go with those answers. Have your child put the right answer in the right egg. Oh, I know. Even my third graders objected when I mentioned my love for the little yellow flowers. Yes, I suppose a lot of people would like to eliminate dandelions from their yard. But according to http://www.wildmanstevebrill.com, dandelions are a good source of pollen to bees and an excellent source of vitamins and minerals to humans. Quite a weed, aye? monotony popped bright circles of pure sunshine, alongside sky-reaching stems topped by snowy orbs made of tiny potential parachutes. Drawn into the game, I playfully kicked the white orbs and watched as the parachutes lifted onto the wind, on their way to start the game afresh. 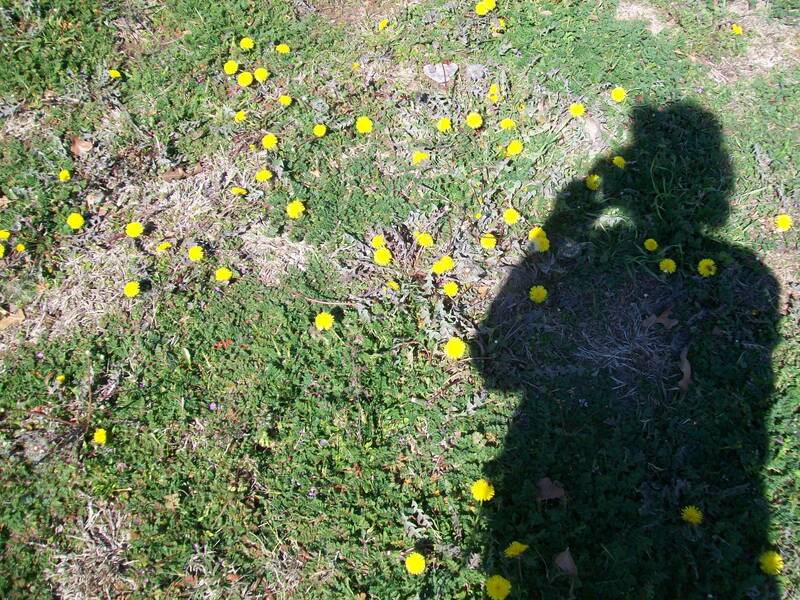 I figure maybe I’m in good company with my love of dandelions. Robert Fulghum, in his acclaimed book of essays, All I Ever Needed to Know I Learned in Kindergarten,(www.robertfulghum.com) remarks that if dandelions were endangered, plant nurseries would charge $14.95 a plant and start dandelion societies. Bring some dandelions inside. Drizzle some yellow paint on a few paper towels. Let your kids make dandelion prints. When the prints dry, the kids can add faces and other details with crayons or markers. Complete the dandelion fun with a good book or two. Dandelions: stars in the grass shows the remarkable life of the dandelion plant with crisp, colorful illustrations. Another picture book: The Dandelion Seed by Joseph Anthony tells the story of a lone dandelion seed reluctant to face the world. It is a story of courage. The illustrations are gorgeous. Tonight, when I pillow my head, I will pray to be a bit more like the dandelion: a bright spot in a weary world, persevering in the face of adversity, a source of nourishment to the sojourner. And when the time is right, please lift my hopes, dreams, and plans. Please send them soaring to the place they are meant to be. reading experience is quite as satisfying as a good book. I love to feel the book in my hands and physically turn each page. I love the fact that I can take a book anywhere with no need of an electrical charger or outlet. 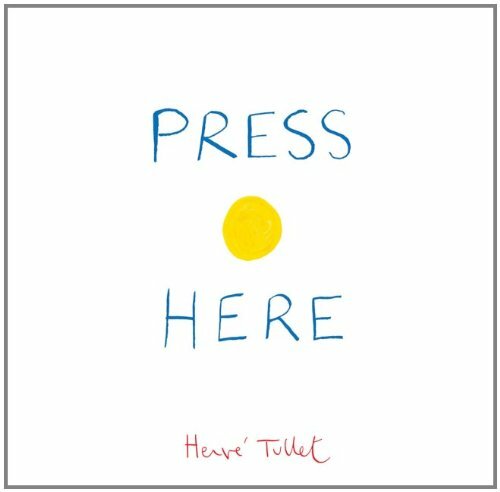 One book that caught my attention recently is called Press Here by Herve’ Tullet. Press Here is a perfect picture book: simple and engaging. When I put this book in my library corner at school, everyone wanted a turn. do to the dot(s). One yellow dot becomes two dots, then three, all in primary colors. By following the tapping instructions, the reader is able to “make” the dots multiply,shift from one side of the other, turn out the lights, and turn the lights back on. Finally, the reader is empowered to clap the dots bigger and bigger until at last, the reader is back to one yellow dot. Then the reader is invited to start over. This book could be followed up by some creative activities. You could give your child(ren) red, yellow, and blue paint. instructions at the bottom of the picture, such as “Press Here”. The next picture shows what happens when the instructions are followed. The children use the book for ideas on what would happen. One of our family goals this year is to turn screens off more often. Television screens, computer screens, I-Touch screens, hand-held game screens. All these screens make me scream! Hee, hee. Here I am typing this blog, staring at my computer screen. torrents of correction fluid. I devour a good movie and let it nourish me for days. Screens are part of my life. But we need a balanced diet of activity. While I seek the screen/non-screen balance in my life, I search for the balance in my children’s lives as well. When we turn off the screens, we see the world, we hear the voices coming from real humans present with us. We can hear our own voice. Or maybe we can be still long enough to listen until we can hear our inner voice once again. Unbored is jam-packed with all kinds of ways for kids and families to get busy doing, creating, and learning. I can’t recommend every activity in the book, but there is a lot of great stuff. It’s so full that it is hard to know where to begin. A few examples of the contents are: “Make a Kumihimo Braid”, “Circus Tricks”, Popsicle Stick Harmonica”, “Backyard Forts and Shelters”, and “Make a Secret Book Safe.” Unbored gives bunches of fun facts as well, broken up into easy to read bites. My screen time is just about up. It’s time to pack up the kids and head to the bookstore. I hope you and yours enjoy your screen time. Then close the screen. Open up the world. Some days there’s snow and there’s ice. Some days they’re sunny and nice! Texas, Texas, What funny winters we have! Listen to the weather reports. One day you might need your jacket. The next day you’ll be wearing your shorts! Case in point: My husband and I got married in February. Guess what? An ice storm was our uninvited guest! Three weeks later, I attended a friend’s wedding held at the exact chapel as ours. It was 90 degrees! Go figure. Are we having Christmas fun yet? Or are we running around in a crazy Christmas tizzy? I am guilty as charged. 2. Don’t go around in a Grump like the Grinch. 3. Don’t forget what and who are most important. One way I let go of a “to-do” was with the Christmas tree. The Christmas boxes were in the house. The tree was up… and empty. Later that day, I washed my son’s Mohawk knitted cap. When it came time to put it back in his drawer, I decided to let it air out instead. I put it on top of the Christmas tree. I found a pair of my daughter’s sunglasses on the floor. You know where they went. Next, I added slinky arms with gloves attached. When my husband came into the room, he took a long look at the tree. “I have a pair of boots in the closet,” he said. We put them at the base of the tree. My daughter came in from playing outside. “He needs a smile.” She said. We added a plastic banana grin, then a HUGE plastic carrot nose. We grabbed a Christmas table runner for a scarf. 1.Do what really matters to you and yours. 2.Go around with joy in your heart. God has already given the greatest gift of all. 3. Remember what and who are most important. God bless you. And MERRY CHRISTMAS!! Ahhh…what could be lovelier than a beastly meat eating plant? Actually a fly-eating plant. “Way cool!” say the kids. I must agree. But as intimidating as the picture may seem, the Venus Flytrap is actually quite small. Perhaps you saw them in the stores last month. If you and your kids are studying botany, give the little Venus Flytrap a go. If you go to mycarnivore.com, you’ll find a wealth of information on Venus Flytrap care, as well as care of other carnivorous plants. You can also order seeds and supplies. “Cause I’m a Venus Flytrap!